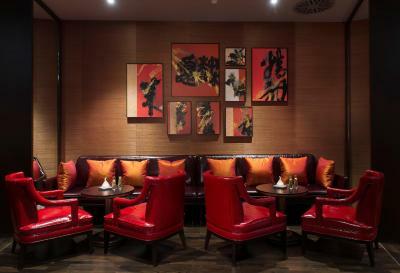 Lock in a great price for Delta Hotels by Marriott Frankfurt Offenbach – rated 8.6 by recent guests! Reception & Staff friendly and nice. Restaurant: Service was friendly. Hotelroom with closed Window silent. Loved the room size and City view from 15th floor. Breakfast was also excellent with lots of different choices. Staff was knowledgeable about common tourist areas and taxi arrangements to airport. The restaurant for dinner is absolutely great! Including the staff for dinner! 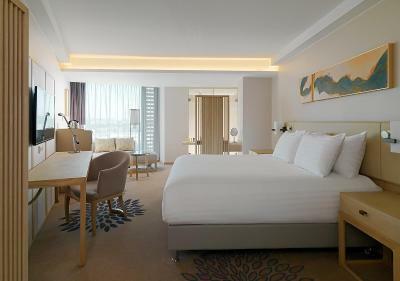 The room is big , big beds, clean and nice view. Breakfast is ok, stuff at breakfast can be more nice! very comfortable, nice with chinese style breakfast. Really nice hotel. Very friendly staff, great room and beds! Very friendly staff. Especially the breakfast team - just lovely. Thanks for making this stay a great one. 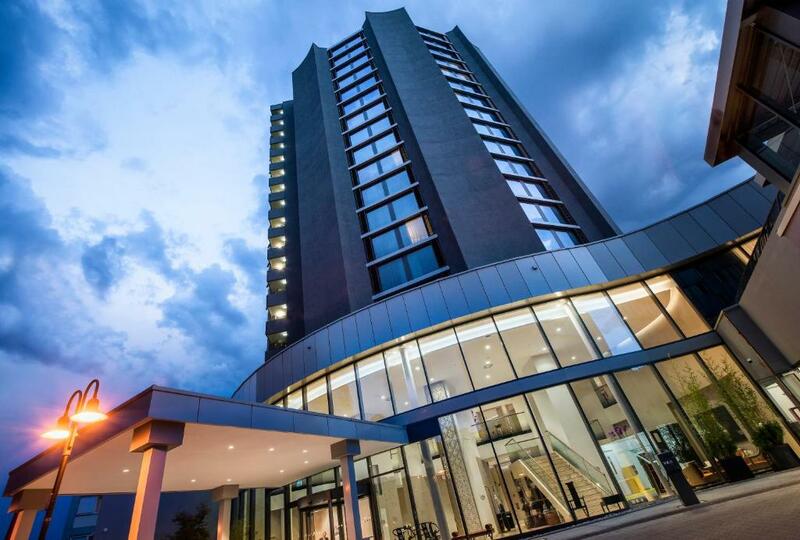 Delta Hotels by Marriott Frankfurt Offenbach This rating is a reflection of how the property compares to the industry standard when it comes to price, facilities and services available. It's based on a self-evaluation by the property. Use this rating to help choose your stay! 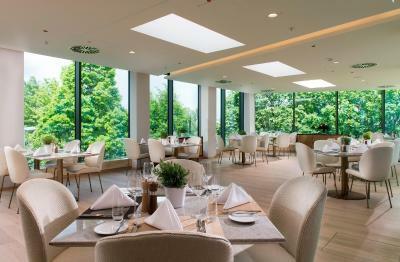 This hotel in the Rhine-Main region is only minutes away from the Frankfurt Trade Fair, central Frankfurt and the airport. 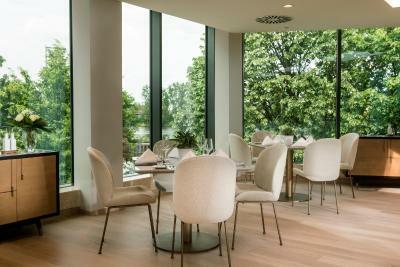 The Delta Hotels by Marriott Frankfurt Offenbach is located between 2 cities: Frankfurt with its skyscraper towers and business bustle and Offenbach with its tranquil setting next to the river Main. Every room at this hotel is air conditioned and is fitted with a flat-screen TV. You will find a coffee machine and a kettle in the room. The hotel features free WiFi throughout the property. 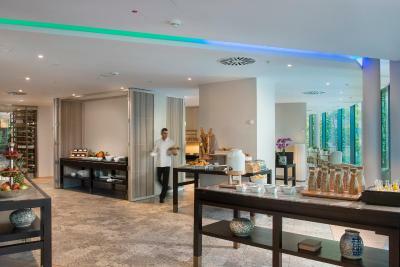 There is a 24-hour front desk at Delta Hotels by Marriott Frankfurt Offenbach. Wiesbaden is 22 mi from the hotel, while Mainz is 22 mi away. 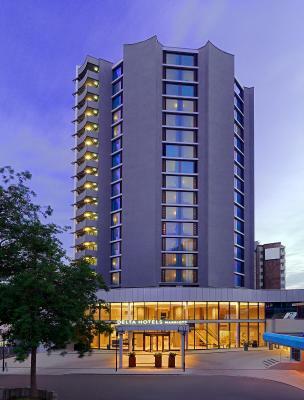 The nearest airport is Frankfurt Airport, 8.1 mi from Delta Hotels by Marriott Frankfurt Offenbach. This property is also rated for the best value in Offenbach! Guests are getting more for their money when compared to other properties in this city. 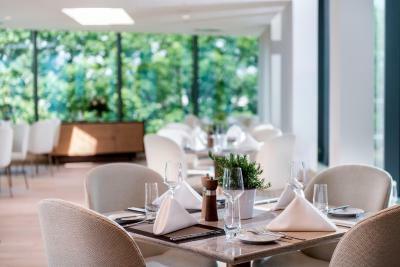 When would you like to stay at Delta Hotels by Marriott Frankfurt Offenbach? This suite features a mini-bar, air conditioning and view. 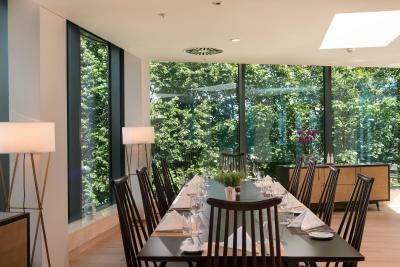 House Rules Delta Hotels by Marriott Frankfurt Offenbach takes special requests – add in the next step! 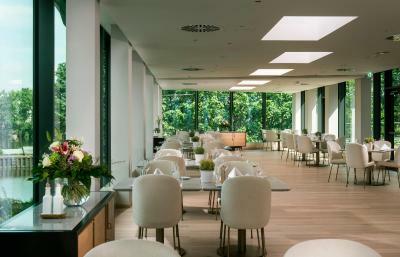 Debit card Delta Hotels by Marriott Frankfurt Offenbach accepts these cards and reserves the right to temporarily hold an amount prior to arrival. 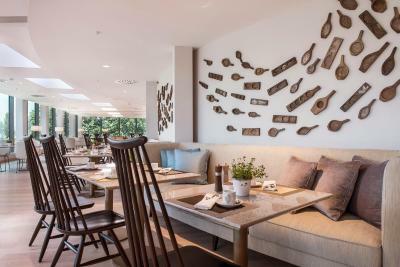 Delta Hotels by Marriott Frankfurt Offenbach accepts these cards and reserves the right to temporarily hold an amount prior to arrival. 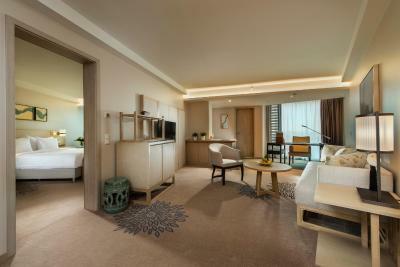 Beautiful suites. Great service and facilities. The breakfast area is really poor as it is all over the place. It would be much better to have everything in the one area. For a hotel with such great staff and ambience, your food is really HORRIBLE!!! I dreaded ordering from the cafeteria every day. When I have a lot of work, I stay in and usually order in-house. Food was Expensive for the very poor quality. I have stayed in many hotels around the world ...Mariott, Hilton, Embassy, Best Western...etc, and never have I had such poor quality food for such expensive prices. I had to take a taxi out to eat several times to experience good quality German food. Please fix this issue. The staff was great, but the food was Really Bad Quality. Small tasteless portions that tasted more horrible than food you would get at the worst restaurant in the country. 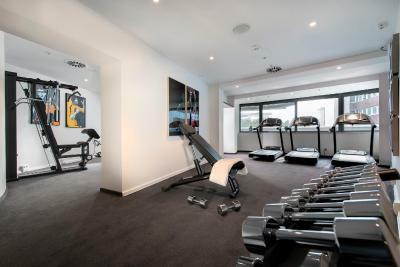 Excellent customer service through out the hotel and great rooms that were clean and well kept. Very nice room! Nice staff! Room was availble a few hours before the normal check in hours. Early check in is always possible here, perfect for me! 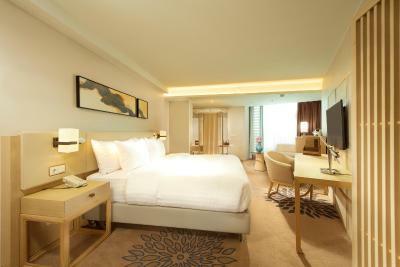 Nice spacious and clean rooms with Nice view! There are no alternative restaurants in the immediate vicinity except McDo. Restaurant: Menu selection for vegetarians & vegans insufficient. Therefore deliberately no breakfast booked. Is still an omnipresent problem in the hotel business. Why, I don't understand. my table was "wobbly", not "cosy" enough. Hotel room: Interior design a disaster. Make-up mirror with wrong light (from top to bottom! ) Bathroom not separated from bedroom (Problem if two persons in a room: you wake up the other in the night when you have to go to the bathroom because of light and noise). I wonder why hotel owners pay incompetent interior designers who do not know the needs of customers. Ask a woman what she thinks of it! Carpets dirty, in the wardrobe no storage for underwear/clothes. Bed: pillow too big and uncomfortable. Water boiler with too short connection cable... because no socket was close enough. Missing in the room: Shoehorn, Bathrobe Another thing: my room was nearby the elevators, which are separated trough a fire door for the gangway. everytime somone passed by, the door slashed with a big noise. I don't understand why nowadays this is still an issue. Doors, if closing atomatically - should do'it silent. The staff were very professional and very very efficient . People atention. City. Culture. Restaurants.